Did you notice what was missing at Apple’s 2018 WWDC earlier this month? There wasn’t a single new Mac model to be seen. Not a one. 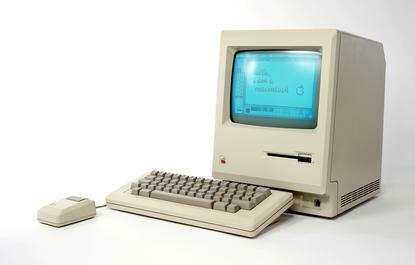 But the Mac lineup hasn’t been associated with true innovation for years, even before Tim Cook took over as CEO. Not having a new Mac model to show off to its assembled developers doesn’t seem like a fluke. It’s not hard to figure out why Apple isn’t making new Macs. Let’s take a peek at Apple’s last annual report, shall we? In it, you’ll find that Mac sales in 2017 accounted for US$25.8 billion of revenue. I wouldn’t say no to that money, would you? Well, if you’re Apple and your iPhone sales revenue came to US$141.3 billion, you can decide to ignore Mac users as you make your way toward becoming the first company with a trillion-dollar valuation. Now, it wouldn’t kill Apple to take a mere billion or so and invest in selling us new and improved Macs, but that’s not what it’s interested in. It would much rather spend the cash on fine-tuning the colour of the next iPhone. I get the financial logic. I just think paying a wee bit more attention to the Mac would be a good idea. Yes, I know that all PCs, including the Mac, have seen their sales decline. A long time ago we used to wonder if everyone would buy a PC. We now know the answer. Yes, they would, until they could get something easier to use, and that’s why smartphones are outselling PCs. In 2015, 1.4 billion smartphones were sold, compared to a mere 289 million PCs. You can also, as Apple knows full well, sell a new smartphone to your customers every two years. PCs? I use the bejebus out of mine, and most of them are five years old. But Macs are about more than just sales. They’re at the heart of what made Apple different. Letting Macs decline into obsolescence means abandoning part of what made Apple Apple. Bringing iOS API support to macOS so that it’s easy to port iPhone and iPad apps to the Mac isn’t going to do anything. As for the near future of macOS, Mojave is about as uninteresting an operating system as any I’ve ever seen — and I was around for Windows ME and Vista. Dark mode? Are you kidding me? Stacks? I’ve been running dedicated, specific task virtual windows on Linux for decades. True, as my buddy Jason Perlow points out, the stand-alone consumer PC is dying anyway. There’s a reason why Google and Microsoft are bringing Linux to Chrome OS and Windows respectively. Tomorrow’s desktop is for developers, writers, artists and other creative sorts. Linux makes perfect sense for them. Consumers? Not so much. So, how about this, Apple? Bulk up your existing Mac lines for professionals. While you’re at it, could you please dump the lame MacBook Pro Touch Bar; give the MacBook Pro a serious performance boost, and maybe revive the Mac mini? I mean, you’re selling it at full price and it hasn’t seen an upgrade since 2014! Come on, Tim, do more than just play catch up to the other operating systems with merely cosmetic changes. Re-dedicate the Mac to being a best-of-breed developer and professional workstation. Sure, it will never make as much money as the iPhone XI, but it would make some of your oldest users happy and keep them around for a few more years. I really, really don’t want to put Macs in the computer graveyard quite yet. Don’t you agree?